Here, probably the most important functional group in organic chemistry is discussed in one handy volume. 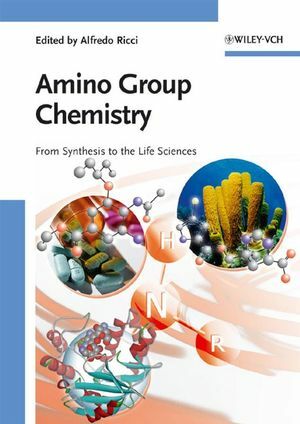 The monograph covers its application -- from natural products to synthetic pharmaceuticals -- detailing complex syntheses using the amino group as templates and modern techniques focussing on the introduction of the amino group. A definitive must-have for every chemist. Alfredo Ricci is full professor in Organic Chemistry at the Chemistry Department of the Faculty of Industrial Chemistry (Bologna University). He was appointed in Florence where he spent part of his career covering for many years the roles of Department head and Director of the National Research Council. 1990 he moved to the University of Bologna. Professor Ricci has authored more than 250 scientific publications and received several scientific awards, including the 2000 French-Italian Prize for Synthetic Organic Chemistry and in 2005 the "A. Mangini" Gold Medal. Since 1995 he is member of the 'Honorary Advisory Board' of Synlett and in 2000 served as editor of the Wiley-VCH book "Modern Amination Methods".